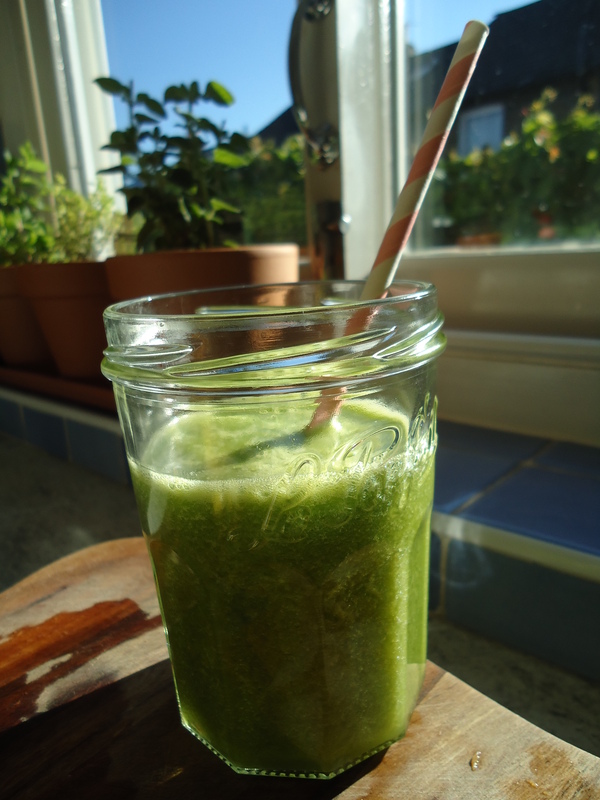 My favourite Green Juice: Mango & Lime | Namaste to you, Sir! One of the best things about this juice for people that are only starting on the green juices is that even though some can be accused of tasting “green” (a.k.a grassy) there is nothing of that in this one. This glass of goodness tastes like something out of fruity wonderland. 1 quarter of a big cucumber or half a small one. 1.- Place 100 ml water on your juicer jar. 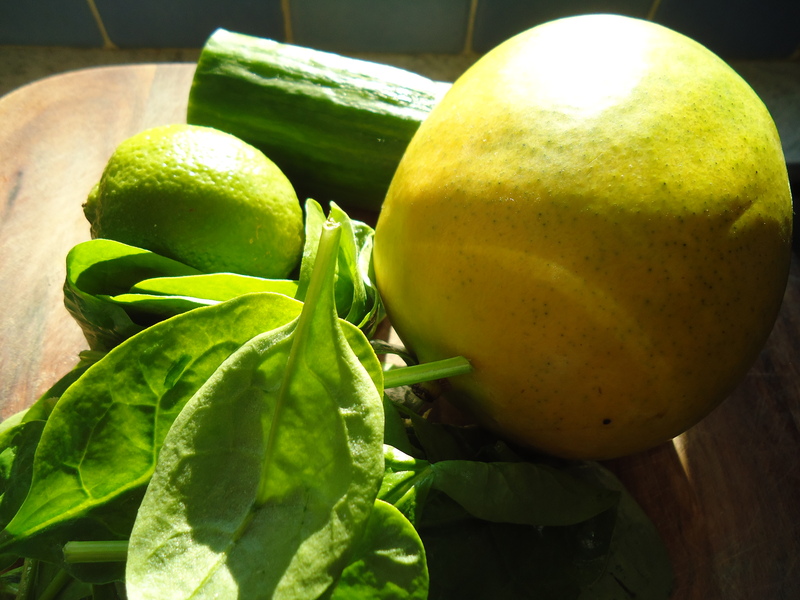 2.- Place the veg and fruit in the juicer in the following order: first the spinach, then lime and cucumber and finally the mango. Tastes: Like mango! Like a sharp (from the lime) mango juice. The cucumber is something very subtle at the back, you can’t really taste it, so if you don’t like it, you can use it in this juice without worries. You don’t taste the spinach either. Try to have this juice on an empty stomach or after your warm lemon water, that way you will maximize the intake of nutrients. If you want to get even more nutrition out of it, try not to eat anything else for half an hour. Because all the ingredients were juiced, it is really easy for your body to take the vitamins on board, even easier than with smoothies that have fibre which needs to be digested. 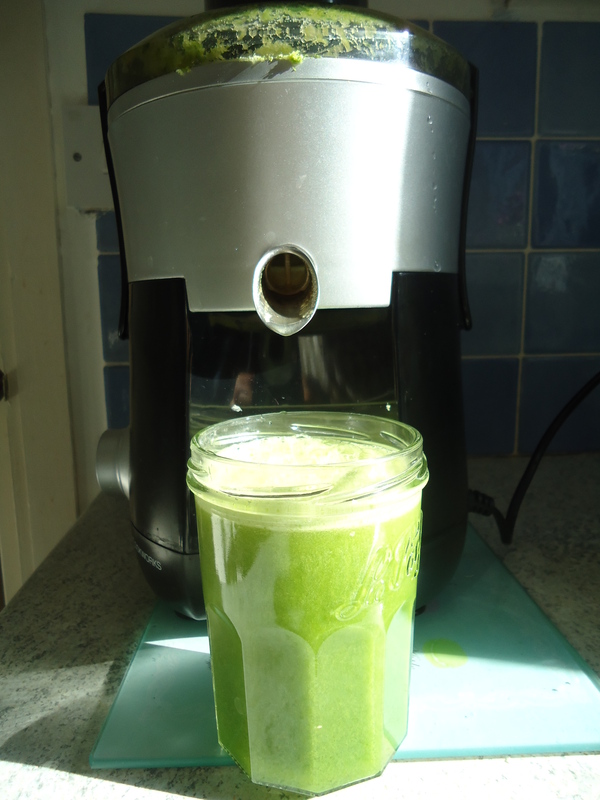 Pingback: My new favourite Green Juice: Lime & Pear | Namaste to you Sir! Pingback: Chlorella Green Juice: Tasty and healthy. | Namaste to you Sir! Pingback: Make your juice and drink it too! | Namaste to you, Sir!